Michael Bisping is a former two-times UFC Middleweight Champion, five-times Cage Warriors Light Heavyweight Champion, FX3 Light Heavyweight Champion, and The Ultimate Fighter 3 Light Heavyweight Champion. He is one of the rare Europeans who were the UFC champions. Michael Bisping is currently 40 years old according to his date of birth February 28, 1979. Michael Bisping is one of the biggest trash-talkers in the UFC. He likes to challenge, humiliate, and insult his opponents. Michael is a master of creating the atmosphere. The press-conferences where he says nothing provocative are an extreme rarity. Bisping is originally a kickboxer. Despite he is a brown belt in BJJ, and a black belt Yawara Ryu Ju-Jitsu, Bisping mostly tries to knock his opponent out. He is a master of overhand punches, both left and right. His left high kick has rocked many opponents. He mostly fakes the opponent with a jab and delivers a strong right cross, which is usually followed by left and right hand. His knees are also his advantage, especially in the clinch. Michael Bisping mostly tries to shorten the distance and deliver a combo of strong and precise punches. On the ground, The Count sends a punch after punch, but he stays away from hooks and uppercuts. Bisping usually opens up the opponent on the ground with a knee to the body, especially if he is in a side control position. Michael Bisping had his MMA debut on Pride & Glory 2: Battle Of The Ages event on April 10, 2004, in Newcastle upon Tyne, England, and he defeated Steve Mathews via armbar after only 38 seconds. This was the shortest fight of his career. 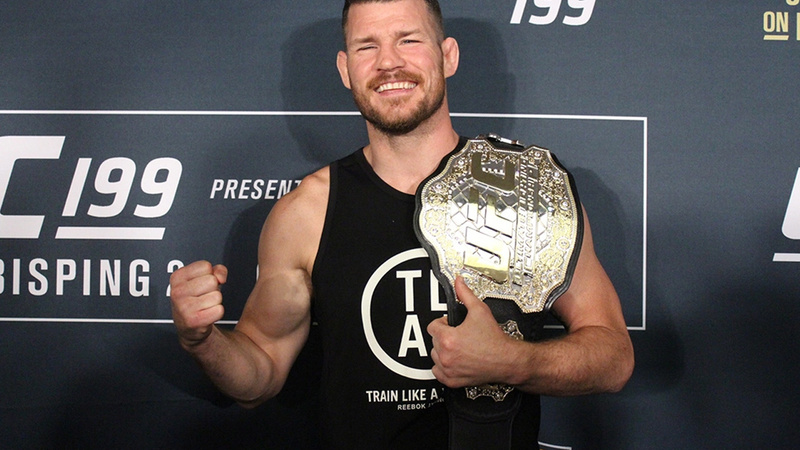 During years 2004 and 2005, Michael Bisping earned a perfect score of 10-0 in the smaller promotions (four by submission). The Count signed for the UFC as an undefeated fighter with great expectations. Michael Bisping had his UFC debut on The Ultimate Fighter 3 Finale versus Josh Haynes on June 24, 2006, in Las Vegas, Nevada, and he won via TKO in the second round. In the second fight at UFC 66 on December 30, 2006, The English Superstar defeated Eric Schafer via TKO. At UFC 70, on April 21, 2007, Bisping was better than Elvis Sinosic. He won via TKO in the second round in front of his home fans in Manchester, England, earning his first Fight Of The Night bonus. Matt Hamill was the extremely tough opponent at UFC 75 on September 8, 2007. Michael Bisping won via split decision after three excellent rounds. Hamill was better in the first round, but Bisping had more significant strikes in the second and third. The Count was defeated by Rashad Evans at UFC 78 on November 17, 2007. Sugar won via split decision. It was Bisping’s first main event of the evening. Michael Bisping had his Middleweight debut at UFC 83 on April 19, 2008, in Montreal, Quebec. He won the fight after his opponent, Charles McCarthy, had to withdraw after the first round due to an arm injury. Bisping defeated Jason Day at UFC 85 on June 7, 2008, via TKO. Despite Chris Leben was positive for stanozolol at UFC 89 on October 18, 2008, this didn’t stop Michael Bisping from victory via unanimous decision in the main event of the evening. Dan Henderson isn’t a striker by nature but he surprised Michael Bisping at UFC 100 on July 11, 2009, by earning a victory via KO (right hook) in the second round. Michael Bisping defeated Denis Kang at UFC 105 on November 14, 2009, via TKO, earning his second Fight Of The Night award. Wanderlei Silva defeated The Count at UFC 110 on February 20, 2010, via unanimous decision. 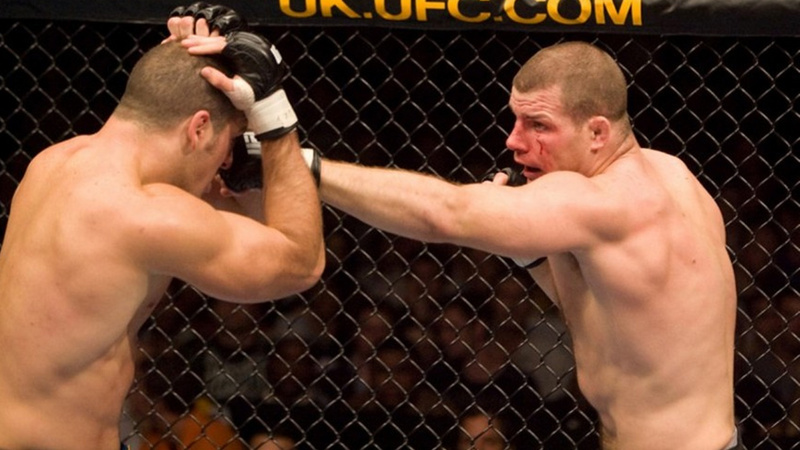 Bisping won Dan Miller at UFC 114 on May 29, 2010, via unanimous decision. The next opponent was Yoshihiro Akiyama at UFC 120, on October 16, 2010, in London, England. Michael Bisping won via unanimous decision in the main event of the evening, earning his third Fight Of The Night bonus. Jorge Rivera was knocked out at UFC 127, on February 27, 2011. One more superb victory for The Count. At The Ultimate Fighter 14 Finale, on December 3, 2011, in the main event of the evening, The Count defeated Jason Miller via TKO after a brutal barrage of knees and punches on the ground. In the clash of biggest UFC Middleweight trash-talkers, Chael Sonnen defeated Michael Bisping via unanimous decision at UFC On Fox 2, on January 28, 2012, in the co-main event of the evening. Bisping was better than Brian Stann at UFC 152 on September 22, 2012. Michael won via unanimous decision. The British superstar survived the hardest knockout of the career against Vitor Belfort at UFC on FX 7, on January 19, 2013. After a brutal left high kick and devastating punches, Belfort won via TKO in the main event of the evening. Bisping had his only technical decision (unanimous) victory versus Alan Belcher at UFC 159, on April 27, 2013. After this fight, all Bisping’s showdowns except UFC 186 were the main events of the evening. 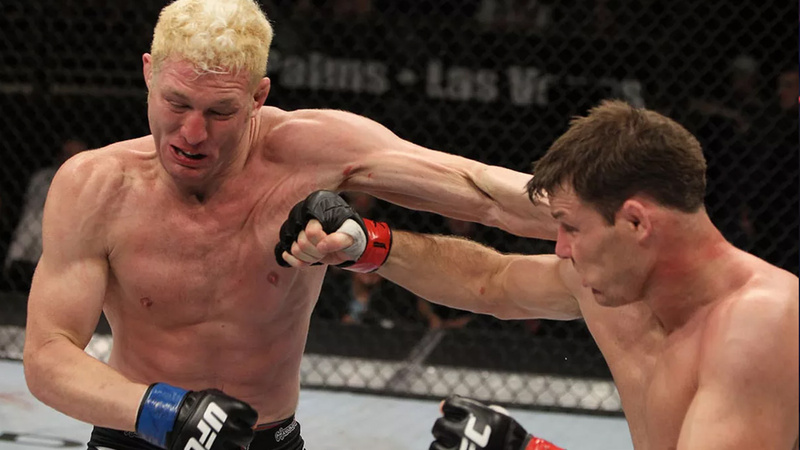 Michael Bisping fought five rounds for the first time against Tim Kennedy at UFC Fight Night: Bisping vs Kennedy on April 16, 2014. Kennedy won via unanimous decision. Bisping won Vietnamese Taekwondo legend and Sanshou fighter Cung Le at UFC Fight Night 48 on August 23, 2014, in the fourth round after brutal knee and punches. It was his first Performance Of The Night. 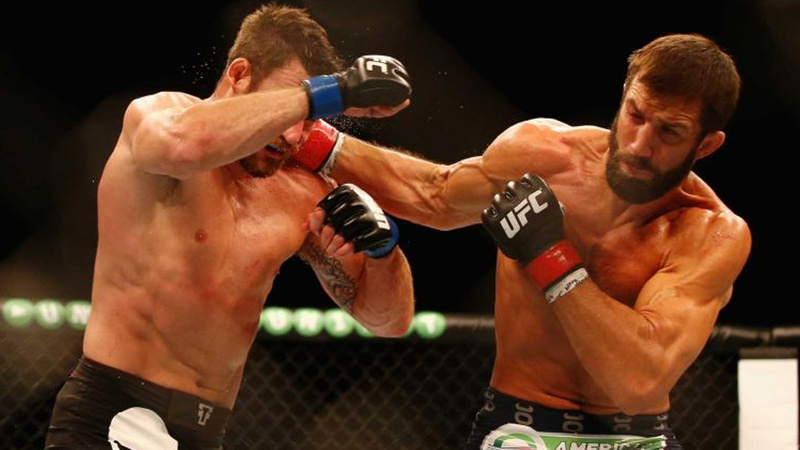 Michael Bisping lost via submission for the first time at UFC Fight Night 55 on November 7, 2014, versus one of the best Middleweight grapplers of all time, Luke Rockhold. At UFC 186, on April 25, 2015, The Count defeated CB Dollaway via unanimous decision. Bisping defeated Thales Leites via split decision at UFC Fight Night 72 on July 18, 2015. 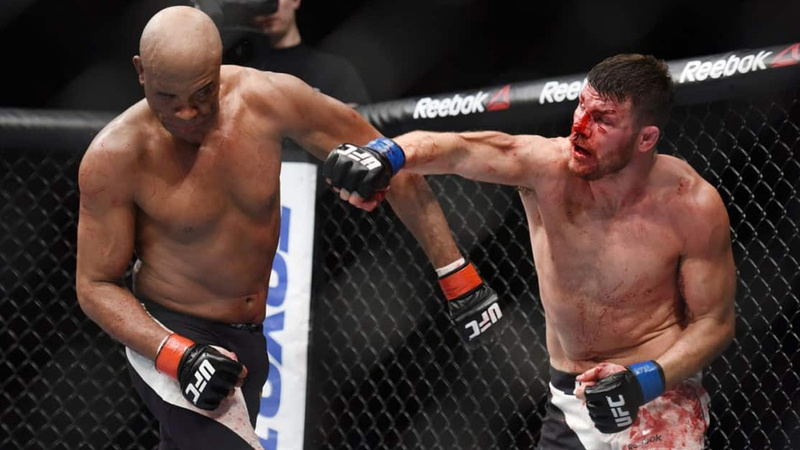 In the most controversial match of the career, Bisping defeated Anderson Silva after five rounds via unanimous decision at UFC Fight Night 84 on February 27, 2016. 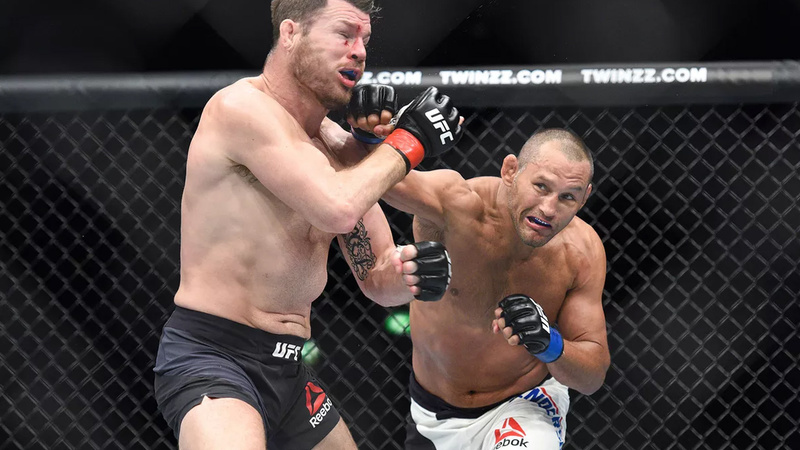 Michael Bisping was showing to the referee at the end of the third round that he has lost his mouthpiece but Silva delivered a brutal knee to the head. The Spider even started to celebrate, thinking he won the fight. It was the Fight Of The Night. Michael Bisping had the rematch with Luke Rockhold on June 4, 2016. Bisping was throwing heavy trash talk against Luke Rockhold, and the two nearly fought at the weigh-in. Even before the fight, The Count didn’t keep his mouth shut. Bisping rocked him with the left hook in the first round. When Rockhold stood up, Bisping connected with another left hook again and started raining punches while Rockhold was on the fence. Bisping won via KO in the first round, and they continued to exchange heavy words even after the fight is over. The Count got a chance to revenge to Dan Henderson on October 8, 2016. Bisping won the fight via unanimous decision, and both fighters were awarded Fight Of The Night bonus. Michael Bisping should face a former UFC Welterweight Champion, Georges St-Pierre. The fight was canceled two times, and they finally met in the main event of UFC 217 on November 4, 2017. 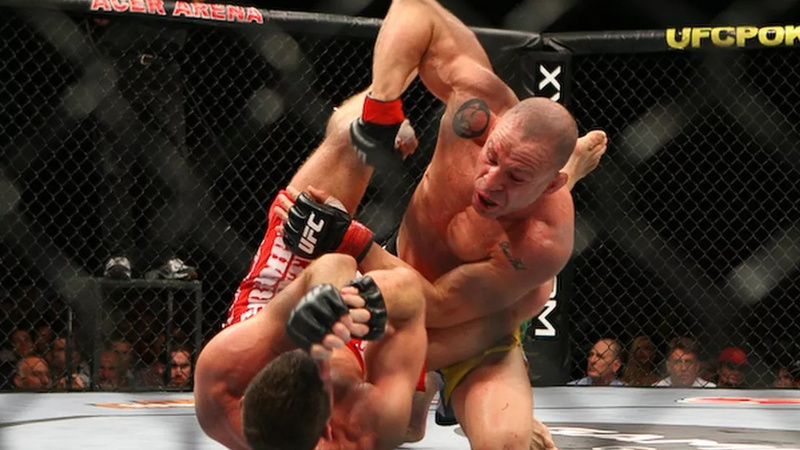 St-Pierre rocked Bisping with the left hook and continued landing elbows on the ground. GSP won the fight via rear-naked choke in the third round. After GSP vacated the title, Bisping definitively had something to say. 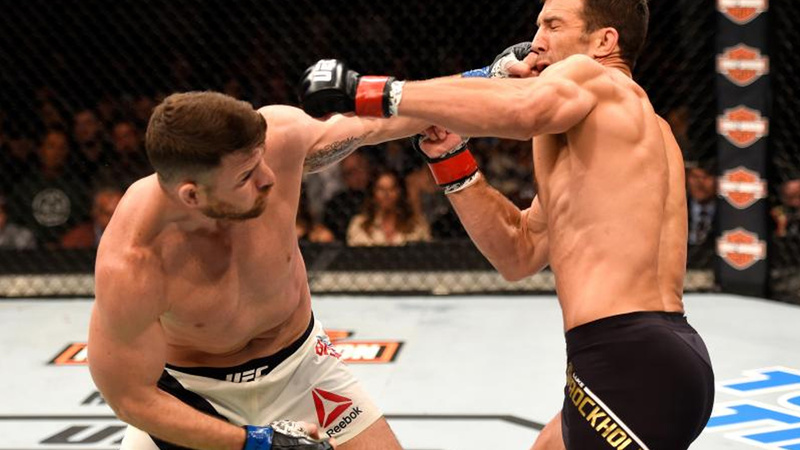 Michael Bisping fought Kelvin Gastelum at UFC Fight Night 122 on November 25, 2017. 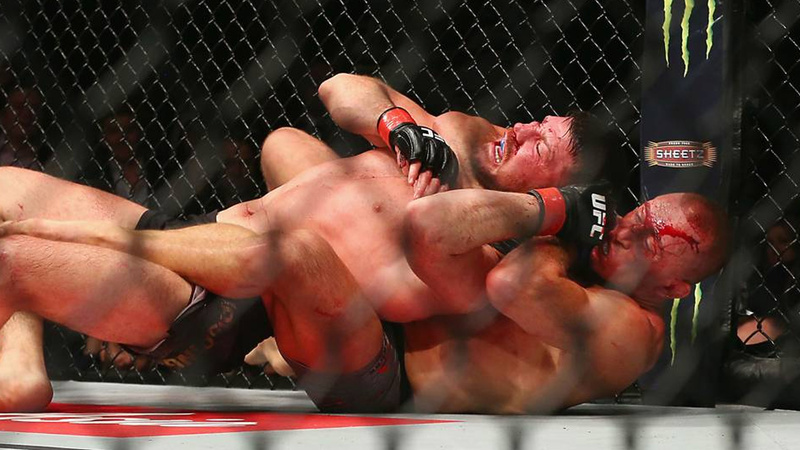 Despite being an underdog, Gastelum won via brutal left cross KO in the first round. It was Bisping’s fastest defeat in the career. Michael Bisping is married to his wife Rebecca, and he has three children. Michael Bisping hosts a show on a satellite radio with a famous comedian Luis J. Gomez. They bring a very interesting and comedic MMA commentary to the Podcast world. The Count’s main topic is funny MMA news, but he also talks about philosophy, pop culture stories, parenting, and life in a completely different, humorous way. More info about Believe You Me Podcast available here – https://twitter.com/bympod?lang=en.